A lucky Keno player from Ipswich won an astounding amount of $1.2 million on a ticket that he purchased on a Saturday afternoon just on a whim. The 58 year old man is a regular at Yamanto Tavern and casually plays Keno during weekends. He would have missed the event if he had not presented the ticket instead of just walking away after purchasing his beer as he had not waited to hear the final number. After finishing his beer when he casually gave his Keno ticket for checking he was pleasantly surprised that he had won $1.2 million in Keno jackpot of the day. The ecstatic winner from Ipswich has stated that the amount would be utilized to go on a round caravan trip across Australia with his wife. He certainly was not expecting to win a million dollars during a casual trip to the Yamanto Tavern for a drink. Besides travelling across the country, the Queensland resident announced that he will spend quality time with is family besides continuing to work after his long holiday. The winning ticket was a Kwikpik that cost $10 for playing out 10 $1 games. His winning combination of Keno numbers were 4,7,12,14,16,25,44,49,59 and 70. According to Keno Spokesperson Nick Quinn, this winner is the fourth millionaire in Queensland and there are more likely to be announced in following months. Nick Quinn wished the family a safe and memorable journey in their new caravan home across Australia. Each month Keno awards $28 million to players in Queensland which are at a minimum of 1 million each. 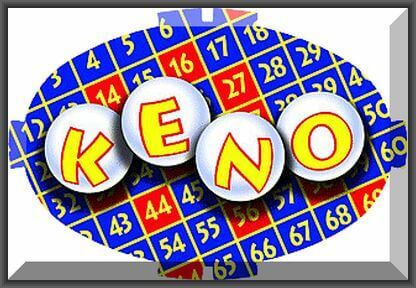 Keno in Australia is run by South Australian Lotteries and Intralot which runs the Lucky Keno. Since the game is popular in clubs, hotels, casinos, it is run by Tabcorp Holdings which run Keno across New South Wales and Queensland.